After a long day, all I want to do is come home and relax and enjoy some ‘me time’. Today was an especially long day so when I got home I needed to indulge in my at-home spa night routine to unwind and take the day off. 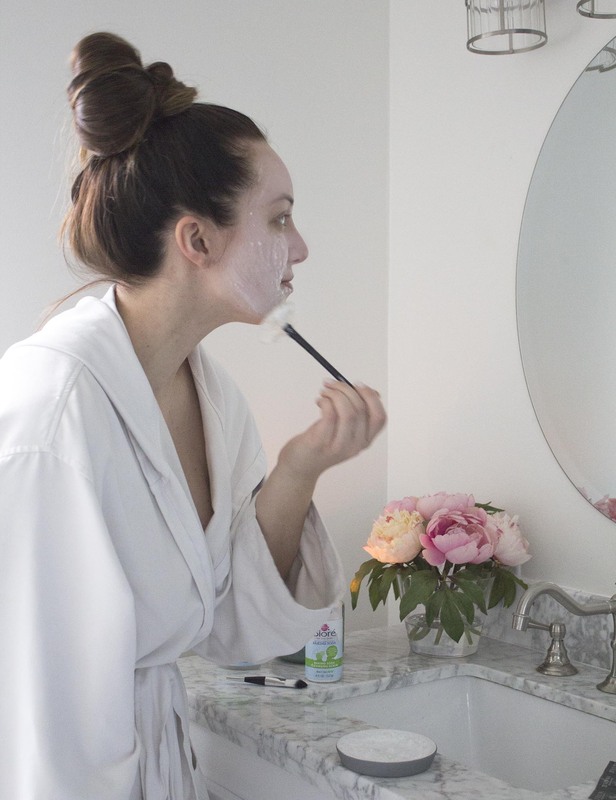 Check out my routine for a chill spa night at home! 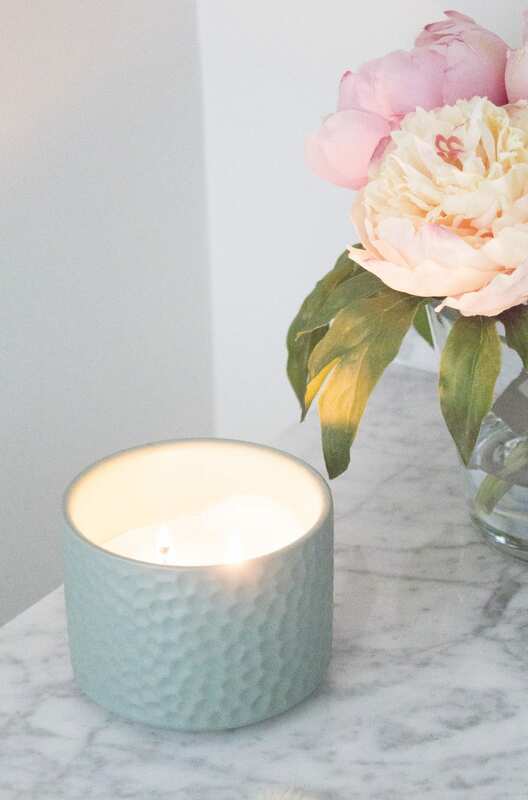 Having scents in my home really sets my mood and puts me into a relaxing state of mind. I have nearly a dozen different candles around the house of various scents but this Japanese water lily scent from Target is my favorite. I let this permeate the air for a few minutes to instantly leave my stress at bay. When I’m relaxing at home, my favorite thing to wear is a big, comfy robe. I think I like wearing robes because they feel like a blanket but with the mobility of a belt. Today I’m wearing one of my favorites from The Westin and I especially like that it has a hood and pockets. Funny story–whenever I’m missing something (iPhone, camera memory card, etc.) I typically check my robe pockets first! I’ve been a Spotify user for years now and love all of the various playlists they have for every mood and setting. 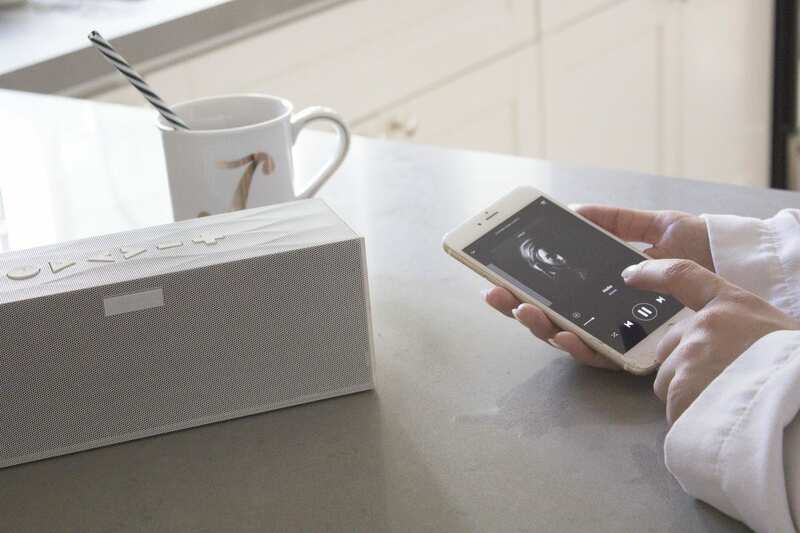 Today I’m choosing the ‘Boho + Chill’ playlist while I fix myself a cup of green tea. Taking off my makeup and cleaning my skin at the end of the day is the most amazing feeling. Taking off the day’s makeup and dirt is key to deep cleaning your pores and prepping skin for night time skincare. If you follow me on Snapchat, you’ve seen that I’ve been looking for the Bioré Baking Soda Cleaning Scrub and I’ve finally found it to test it out! 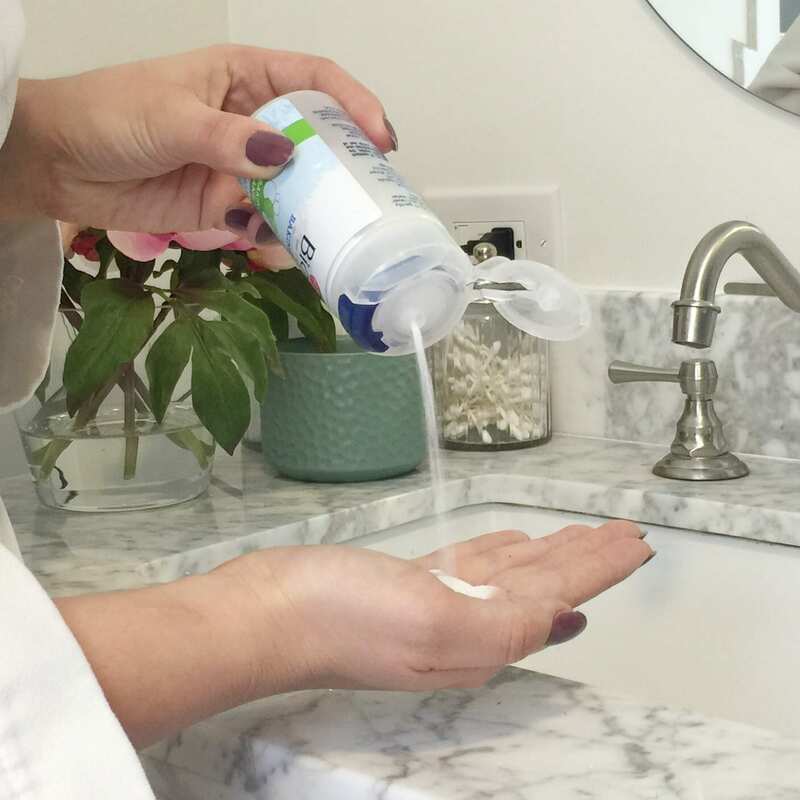 This cleanser is a powder form and features the bubbling power of baking soda to naturally cleanse pores to remove stuck makeup and oil–especially for my combination skin. As part of my spa-night experience, I opted to make my cleaning experience a bit more fancy. I put some powder into a little dish, added a splash of water to activate, and used a fan brush to apply it to my skin for a nice even application (you can also add directly to wet skin). I like that this scrub doesn’t actually feel like an abrasive scrub but exfoliates with the fizz. I love how smooth my skin feels afterwards! Once I applied it all over my face with fan brush (or fingers!) I gently massaged into my skin in circular motions, and rinsed off. My skin is always thirsty after a day of wearing makeup so I follow my cleaning routine with vitamin C serum, eye cream, and a rich moisturizer so my skin can drink up while I sleep. 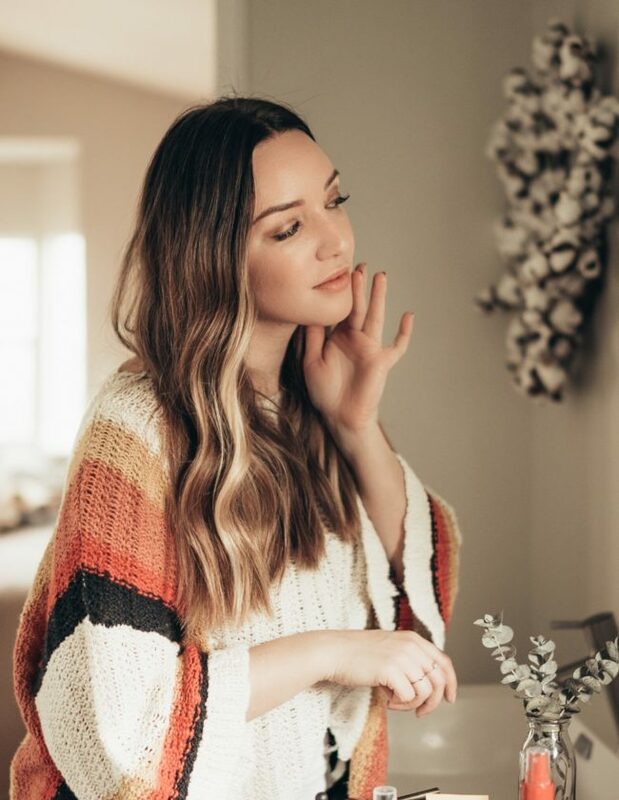 What steps do you guys include in your spa-night at home routine? I’m always looking for something new to integrate into my chill-out routine. Screenshot from Snapchat! 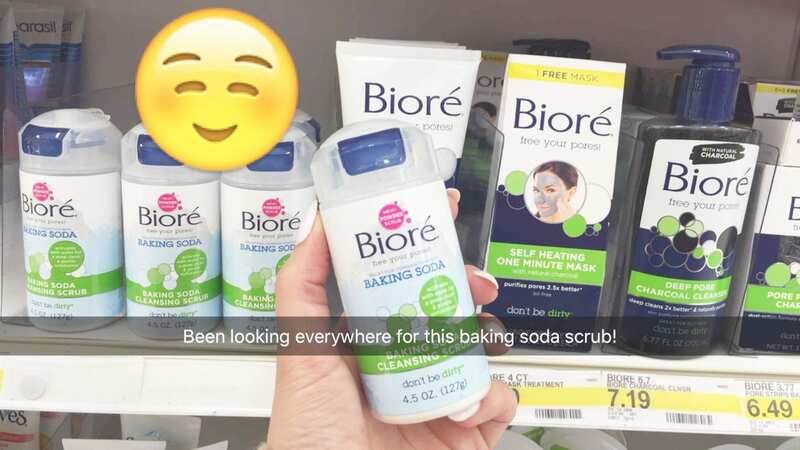 If you’d like to try out the Bioré Baking Soda Cleansing Scrub yourself, head over to Target to scoop some up and try out a new cleanser–seriously unlike anything else I’ve ever tried! loved this post! gave me a few great ideas for own spa night for this weekend before my stressful week of exams. i can attest to your love of robes. i remember them from waaayyy back when. hoping i can have a chill spa day at home sometime in the next 18 years. kisses! How do you manage to look glam even while taking your makeup off?! great post! A spa-like night at home is something I definitely need to make time for now and then! These all sound like great ideas! I need to have a night like this! Really intrigued by this baking soda line! Never seen it before but I bet it would work wonders on my skin. This sounds LOVELY. I just posted 5 ways to relax in 5 minutes or less on my blog and your post is definitely similar! It all sounds so relaxing! I’m just relaxed by reading the post and looking at the serene photos! Such a great reminder to have a spa night at home. I haven’t had one in a long time and am overdue! I love the idea of an at home spa night. Putting on a big fluffy robe makes it feel almost like the real thing. Oh a spa night sounds absolutely wonderful right about now! 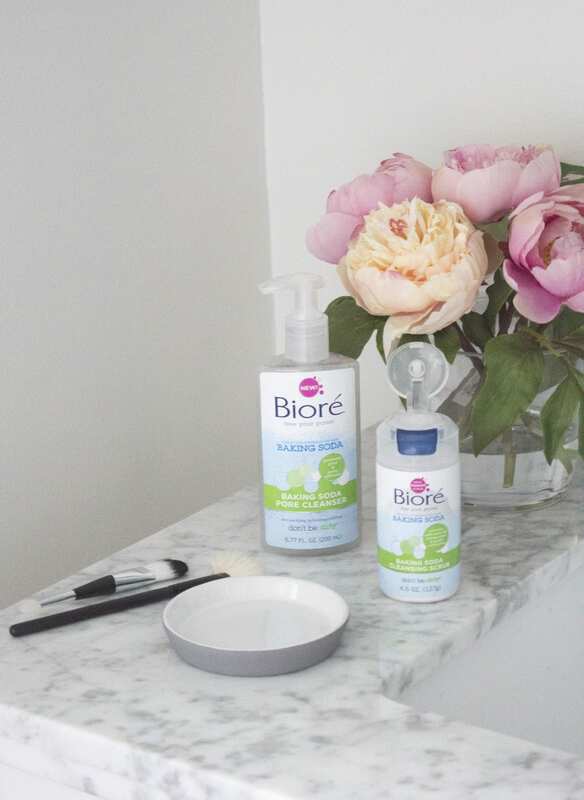 I haven’t tried any of the products, but they look great plus Biore is always good! That sounds like such a great idea!! (loving that scrub, btw!) I am way overdue a little pampering for myself! It’s only 2 in the afternoon but I’m so ready for a spa night! My skin has been feeling kind of blah – blaming it on winter. I’ll have to try the Biore baking soda. Where did you get it from?